With support from the Government of Samoa, TE SubCom and SSCC will construct the new depot in the Port of Apia, Samoa. EATONTOWN, N.J., USA – January 28, 2018 – TE SubCom, a TE Connectivity Ltd. company and an industry pioneer in undersea communications technology, today announced that the company will construct a new depot in Port of Apia, Samoa to service and maintain more than 19 cable systems in the South Pacific region. 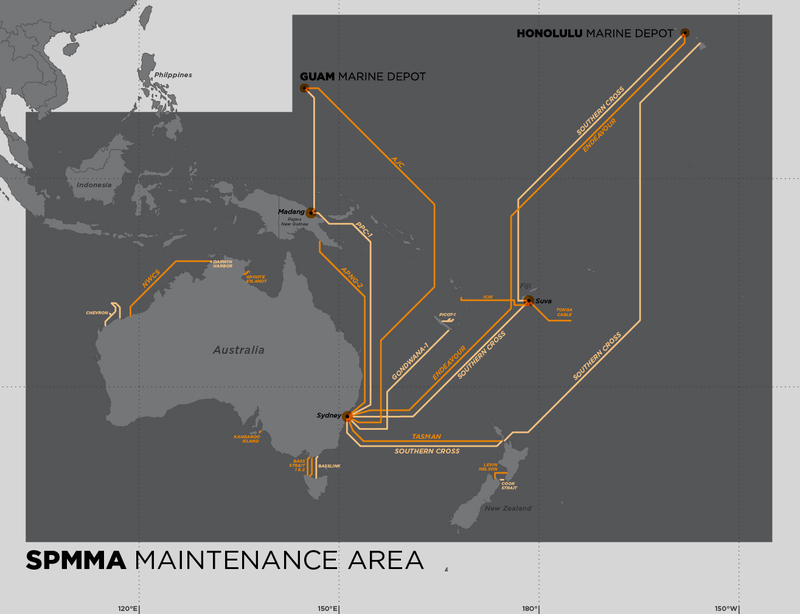 In June of this year, TE SubCom was awarded the South Pacific Marine Maintenance Agreement (SPMMA), a five-year service agreement between SubCom and 14 cable operators in the region. The new maintenance depot in Samoa will help TE SubCom to support and maintain the more than 51,000 km of telecommunications and power cable systems in the area as well as support regional installation activities. “The Government of Samoa welcomes TE Subcom to Samoa. This partnership showcases the government’s commitment to encouraging foreign investment. In addition, the submarine cable depot aligns with Samoa’s aspiration to positon itself as a submarine cable hub for island nations seeking to bridge the digital divide and improve internet connectivity for their people” remarked Prime Minister Tuilaepa Sailele Malielegaoi. ⦁ Six (6) Cable Tanks with over 1100 cubic meters of storage for cable. ⦁ 150 square meters of dedicated storage for jointing kits and test equipment. ⦁ The SPMMA area covers the South Pacific region from Singapore in the west to Tahiti in the east and from the southernmost point of New Zealand to Hawaii in the north. ⦁ SubCom will maintain cable systems across more than 28 million square miles of the Pacific Ocean using the cable ship Reliance, based in the South Pacific region. ⦁ An experienced crew of dedicated marine professionals will utilize SubCom’s modern marine assets and extensive technology portfolio to ensure quality delivery of maintenance services to the region. TE SubCom (SubCom), a TE Connectivity Ltd. company, is an industry pioneer in undersea communications technology and marine services, and a leading global supplier for today’s undersea communications requirements. As a vertically integrated supplier, SubCom designs, manufactures, deploys, and maintains the industry’s most reliable fiber optic cable systems. Its solutions include long-haul and regional systems, repeaterless networks, capacity upgrades, offshore oil and gas, and scientific research applications. SubCom brings end-to-end network knowledge and global experience to support on-time delivery and the needs of customers worldwide. To date, the company has deployed enough subsea communication cable to circle the Earth 15 times at the equator. For more information, visit www.SubCom.com. SSCC is a private company incorporated in Apia Samoa which built and operates the Tui-Samoa submarine cable between Apia Samoa and Suva Fiji with spurs to Savaii and Wallis & Futuna. SSCC also provides cable landing party arrangements for other regional and trans-pacific international cable systems. SSCC mandate is to operate an open access and non-discriminatory landing party in order to deliver fast, reliable and affordable internet services to promote ICT innovation and development as an enabler of economic growth and social prosperity for the people of Samoa and the Pacific region.